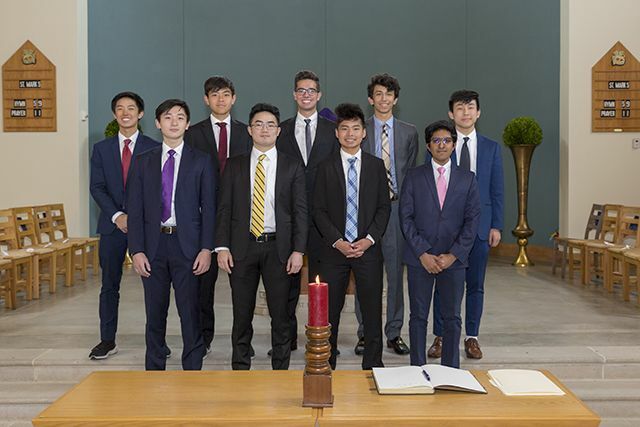 On Wednesday, April 3, 2019, nine Marksmen were honored at St. Mark’s first ever Chinese Honor Society (CHS) Induction Ceremony. 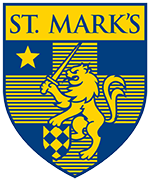 St. Mark’s is a chapter school of the Chinese Language Association of Secondary Schools, which began the CHS to encourage its members to gain a better understanding of Chinese language and culture, as well as to play an active role as a contributing global citizen in the 21st century. St. Mark’s Chinese Teacher and CHS Advisor Janet Lin announced this year’s inductees: Mujin Kwun ’19, Harrison Lee ’19, Benjamin Hao ’20, Tianming Xie ’20, Austin Zang ’20, Sam Ahmed ’20, Tony D’Apice ’20, Eric Lai ’20, and Sahitya Senapathy ’20. To qualify for CHS, the boys had to write an essay and provide their GPAs and Chinese class scores for the past three years. “As new members of the Chinese Honor Society, these boys are willing to work with other students and serve as positive role models in the area of Chinese studies,” Ms. Lin said.